First, make sure you have plugged in your microphone and have installed Skype, Call Recorder for Skype (Mac only – try Pamela for PC), Audacity and LAME MP3 Encoder (which will let us export the episode as a compressed MP3 file from Audacity). Organise to speak with someone for a few minutes to test your set up. This is a good opportunity to practice your episode 000 – a brief introduction to your podcast where you explain who you are, why you’re podcasting, who the podcast is for, your plans for the podcast’s future, and how listeners can get involved and support your endeavour. Before you call your test guest, check your Skype preferences to ensure you have Call Recorder installed and the proper Skype settings ready to go. Ensure your microphone is selected (not the built-in microphone) and that ‘automatically adjust microphone settings’ is unchecked. Remember not to have your output volume too loud – you don’t want your headphones audio to spill into your microphone. If you have ECamm Call Recorder installed, you will now see a ‘Recording’ tab in Skype preferences. Alright. Now call someone and speak with them for five minutes. After the call, the audio file from the call will be saved in the folder you set in the ‘Recording’ options. Make a backup of this file straight away (e.g. Google Drive). The file will be titled with the person’s name and the date of the call. Open Audacity and import this file to check the quality. Split the track into to two individual mono files. And mute your guest’s side (the bottom file). For now, we just want to check your audio. This will give us an idea of what we need to improve before recording a real episode of your podcast. Of course, the audio can be improved in Audacity as part of the editing process (e.g. Amplify for levels and Noise Reduction for quality), however, focus on getting good quality audio during the episode. This will reduce editing required later on. So, now you’ve completed your first microphone test on a Skype call – what can you improve the audio quality on your side? Audio levels too low/soft = Be conscious of your position to the microphone and your microphone input settings on your computer/in Skype. You can hear your guest on your side of the recording = Turn your headphones down to prevent an audio spill. There are sound ‘glitches’ and skips = Most likely a computer/internet issue. When you record, shut down any other app or program that you don’t need for the interview. Also, check your internet speeds (download and upload) are sufficient. There’s a hum or some static = First. Check your microphone connection (even test the microphone on an another computer). 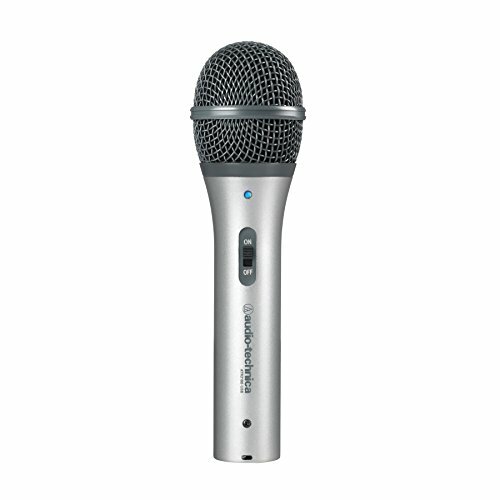 Some microphones do seem to have a natural hum or static. If it’s only minor, this can be removed using Noise Reduction (same with any background noise you have on your end).